If you want to achieve greatness stop asking for permission. 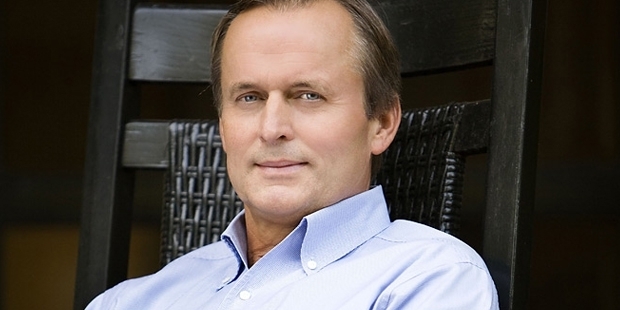 John Grisham is a famous American Lawyer, author and politician. He is known for his legal thrillers. He was born on 8th February 1955 in Jonesboro, a small city in Arkansas. He graduated from the University Of Mississippi School Of Law. Grisham used to work for 70-80 hours a week during his initial days of struggle. He used to write novels in his free time, even before going to the office and in lunch or tea breaks as well. John wanted to become a baseball player in his childhood but as he grew up, this dream started to fade and he shifted to an accounting profession. He practiced law for about 10 years, almost a decade. He specializes in criminal defense. He got elected to the State House of Representatives and worked there till 1990. John used to get very little time to write as he went through a very busy schedule. Writing was John’s hobby but with time he started to love his work in writing. He realized his love for writing. As many as 275 million copies were sold from his works till 2012. 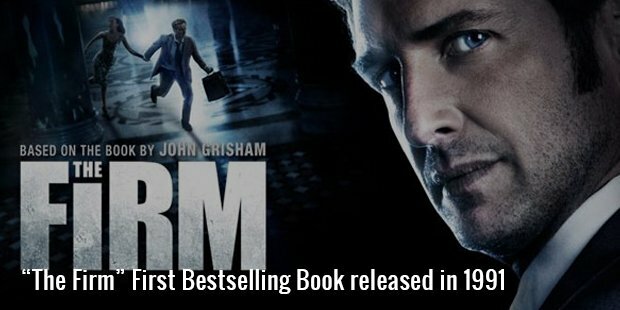 Grisham is one of the very few writers to sell 2 million copies of first publication, “The Firm”. This was his first bestselling book and was released in 1991. A feature film with same name starring Tom Cruise was also adapted from the book that went on to become a big hit. His other eight novels too were made into some of the best feature films in Hollywood. John’s books were translated into 29 languages all over the globe. John was constantly switching jobs from the time he was a youngster. During his early days, John started working in a nursery when he was a teenager. He was later promoted to fence crew, but saw no future in this job. Before making writing his ultimate career, John was frequently changing the line of work.He also worked as a plumbing contractor for a while but it did not give him much satisfaction. Later, he found another job in an asphalt crew. This last job made him realize the importance of studying in a college. He also worked in a retail store as a salesman. John then decided to become a tax lawyer and started going to college of Law. He got his first big case in the year 1984. John started writing after being inspired from one of the incidents in many of his cases. He wrote “The New York Times” and took almost 3 years to complete it. 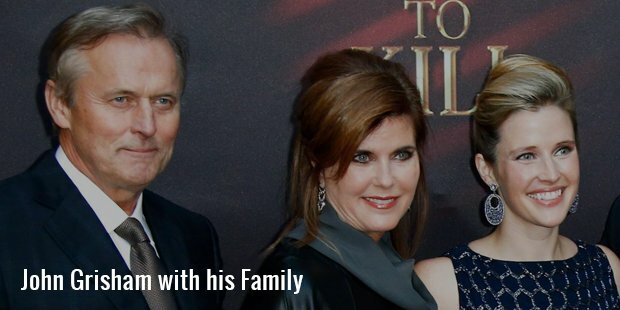 John was married to Renee Jones in 1981 and the couple has 2 children. The Mississippi Libraries have all the books written by John. There is an archive containing all his work material. Grisham has a strong interest in Baseball and this was the reason for his support to the Little League. According to him, John normally takes around six to seven months to complete one book.